I’m going all over the map on this one, so please bear with me. I don’t know about you, but I’m still trying to get use to the winning ways we’re experiencing with the Chiefs and Royals. It’s been a merchandise bonanza for the sports apparel business. Everywhere you go, someone is wearing a hoodie or some type of clothing with a Royals World Championship logo. It’s terrific to see how this team has unified our city. The Chiefs are making a serious run on the legs of a five game winning streak. They’re for real in the playoff chase after being left for dead a few weeks ago. I co-host a Chiefs postgame show on 810, and most callers have done a total 180 since the team began the season losing five of its first six games. Callers to the program back in September were livid. They wanted the head coach to relinquish his play calling duties, suggesting the game had passed Andy Reid by. Other callers wanted to run the QB out-of-town. It didn’t matter how, they just wanted Alex Smith gone. Then the winning streak began. All of a sudden, I realized how caught up I became with all the euphoria that winning brings. 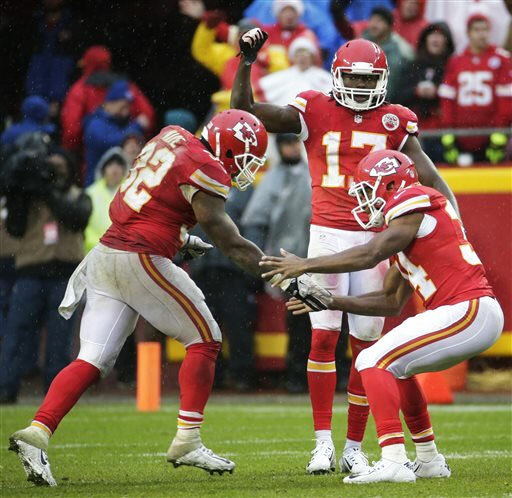 However, when it comes to the Chiefs, you become leery of their past record. We know it too well. It’s been twenty-two years without a playoff victory. It’s an ugly stat. I look at it this way; the odds are in their favor to bust this vicious 8-game post season winless streak. As reporters we want to see our teams do well. When it happens, our perceived bias and allegiance have a way of showing who we are. That’s not a bad thing unless you’re a reporter. You must realize, we’re trained to be skeptical of just about everything out there. In many cases it comes across as being too negative. However, there’s a long standing tradition among reporters, NO CHEERLEADING allowed in the press box. As a cub reporter, it was easy to get caught up in the excitement. As I began to grow long in the tooth, I had less tolerance for those who are over exuberant in expressing their feelings about the teams they cover. There was a time when the newspapers ethical standards were above reproach. On the other hand my Radio-TV brethren have a reputation at times of playing it a little loose in distinguishing between fact and fiction. Many reporters now become too close to the teams they cover and that’s not good for the fans. Many times they’re short-changed by not getting the whole story. Bottom line – winning takes care of everything. Let’s enjoy the ride!